>As far as I know, there is more than one OBJ file format and the one you have is not supported by binedit. The trick would be to see if there are other export/save options in milkshape. >This would be a good question to post in the forum. 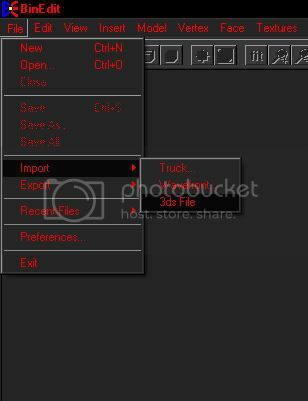 you need to export the files as "autodesk 3DS" files. then in binedit, import the "3DS" file. make sure you have a texture ready because binedit will ask you for a texture to load with the model. didnt work. but now, binedit gave me a "debug assertion error" stuff instead of a that ulgy "page fault error". This is the only file that i'm having problems. the others OBJ files created w/ milkshape works fine. if you have textures mapped to the model in milkshape, that could be the problem. 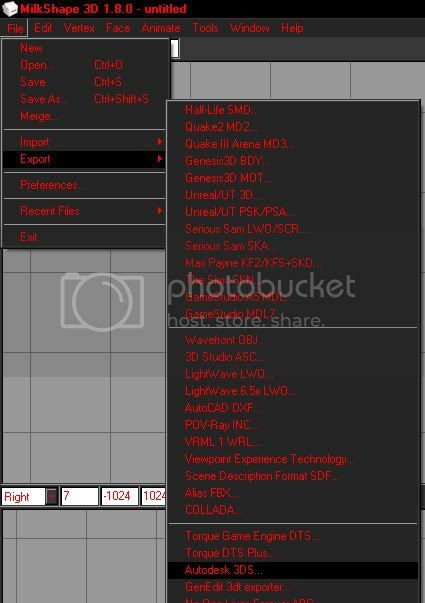 you need to export the file with no textures on it and make sure it's an "autodesk 3ds" file. >if you have textures mapped to the model in milkshape, that could be the problem. >you need to export the file with no textures on it and make sure it's an "autodesk 3ds" file. Done. Same error. Looks like this problem has no solution.